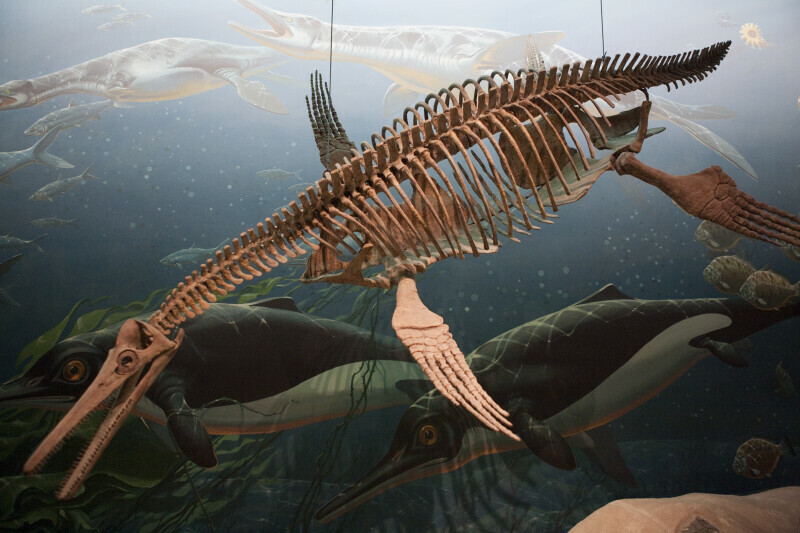 Skeleton of a pliosaur on display at the National Museum of Natural History, Washington DC. Compared to their cousins the nothosaurs, plesiosaurs were much better adapted for life in the water. Their fore and hind limbs ended in "paddles", formed by many extra bones in the fingers and toes. WARNING: You are about to download a 24.5 MB TIFF!